RECOGNIZED AROUND THE WORLD FOR SUPERIOR PRODUCTS AND ADVANCED DESIGNS. Maximize your spa experience with help from our experts at Goodall Pools & Spas. A high-grade cover and cover lifter can help you provide your investment with optimal protection. 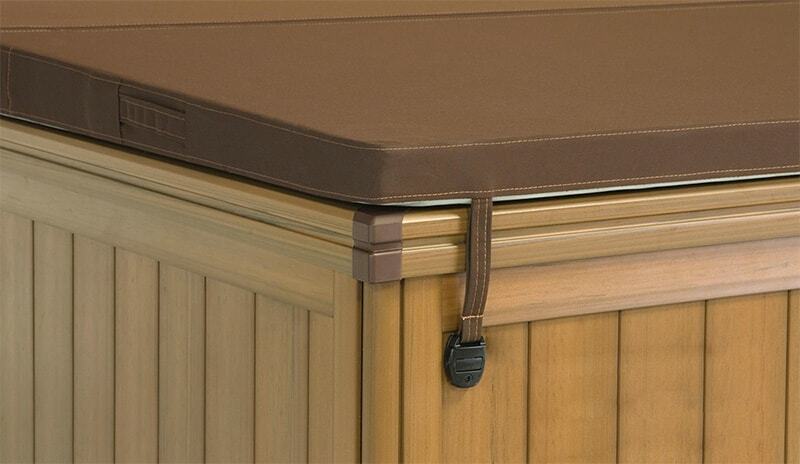 Not only can a cover help protect your spa from the elements, but it can also help lower your operating costs by providing additional insulation. Keeping the heat trapped inside your spa and not allowing it to escape results in the system not having to work as hard to regulate the temperature. At Goodall Pools & Spas, we have practically everything you could ever need to transform your backyard into the perfect place to relax and entertain. This includes an unbeatable selection of outdoor accessories that can help improve the safety and functionality of your backyard, while improving how much you enjoy soaking in the water. 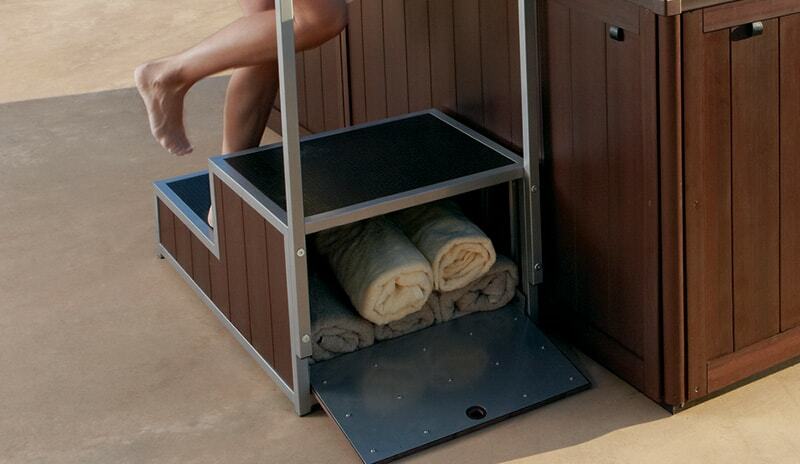 Non-slip spa steps can help users enter and exit the spa safety, especially with some additional outdoor lighting. To enhance the enjoyment of your backyard and spa, why not consider a built-in stereo system? No matter how you want to accessorize, our experts can help. Browse our website to learn more about the valuable accessories or visit us in-store for a more hands-on experience.